Ambazonia is the is what use to be The Southern Cameroons in the time of British Rule and is now the Anglophone (English Speaking) areas in South West Cameroon, which declared independence in 2016 from the Republic of Cameroon. Ambazonia is the oil rich area of Cameroon that supplies 60% of the country’s income but the local people see very little of the revenue from the oil business. They have very poor access to health care, schooling and unemployment is high. The same story that can been seen in the neighboring areas of Nigeria where local ethnic groups fought a two-and-a-half-year civil war for the independence of Biafra in the late 1960’s. 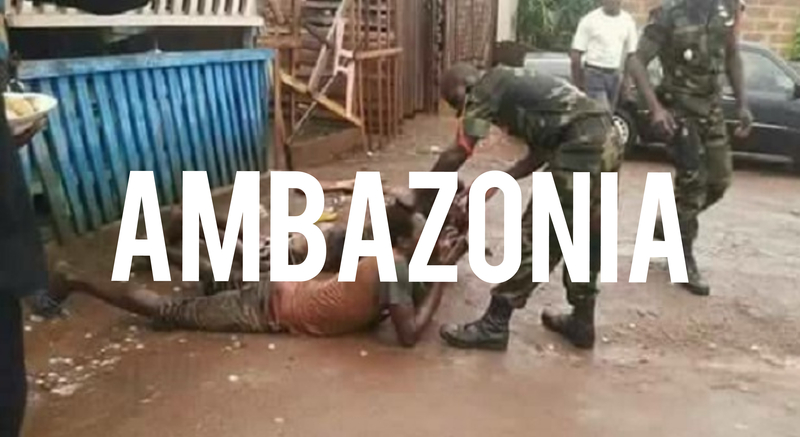 Since declaring independence in 2016 Ambazonia has been subject to routine attacks and human rights abuses by Cameroonian security forces under the orders the President Paul Biya. The president of Cameroon Paul Biya has been in office since 1982 and has been listed in numerus publications including Parade Magazine, as one of the worst dictators in Africa. So, with what can be described as “ethnic cleansing” taking place in a country that keeps close ties with France and the United States why is the international communities not interested. Well if we are honest maybe it’s because it’s just another black-on-black war in a remote and poor part of Africa. The violence has been going on for over 3 years and the locals have formed the Ambazonia Defense Force to protect their communities from attacks by government forces. Massively out gunned the poorly equipped and virtually untrained the Ambazonians have scored numerous victories against the government troops using hit and run tactics and their knowledge of the areas they live in. So, how will the situation develop? Who knows as neither the government or the Ambazonian’s seem willing to compromise and with no interest from the international community the rapes, killings and human rights violations will continue unhindered, why? Because it’s just another black-on-black war in a remote and poor part of Africa.